Below, you'll find licensing requirements for a range of fundraising activities. 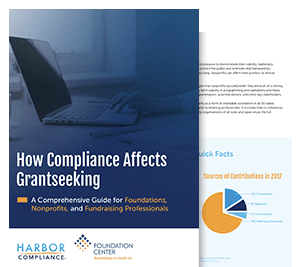 At a glance, you can see requirements, fees, filing instructions, and links to forms for everything from charitable gaming and cause marketing to professional fundraisers and charitable gift annuities. 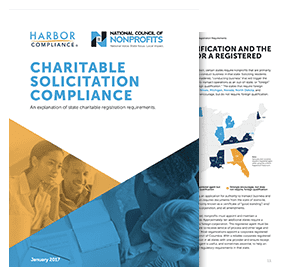 Make sure your fundraising activities meet the unique requirements of each jurisdiction where you’re soliciting. Feel free to explore, bookmark, and share! 2 years of continuous existence in Rhode Island immediately preceeding licensure. Rhode Island statutes do not address charitable gift annuities, but division of insurance rules exempt charitable organizations from disclosure rules that apply to other entities. Charities must register within 30 days if they exceed $25,000 in contributions. $90 + $3 online filing fee. Read the exemptions carefully as there are many limitations to each exemption category. 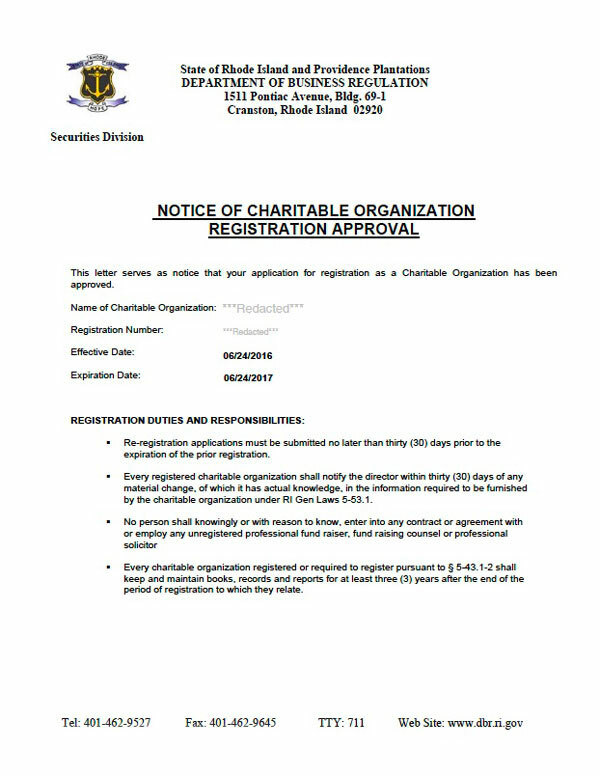 Some Rhode Island counties and municipalities may require charities that solicit in-person to register prior to fundraising. By the anniversary of initial registration. You must attach an annual financial report. Rhode Island does not currently have a traditional registration requirement for commercial co-venturers, but they may need to follow other regulations before and after fundraising events. Registration is not required for commercial co-venturers in Rhode Island, but other requirements may apply. Filing method: Flash drive, CD-ROM, or online. RI Stat. § 11-19-31 et seq. Raffle applications should be submitted to the local police department in the town or city where the raffle will be held. Raffle licenses are issued for a single event date. Participants must be 55 or older. The maximum aggregate daily prize is $400. Special bingo licenses are issued for a single event and cannot be renewed.